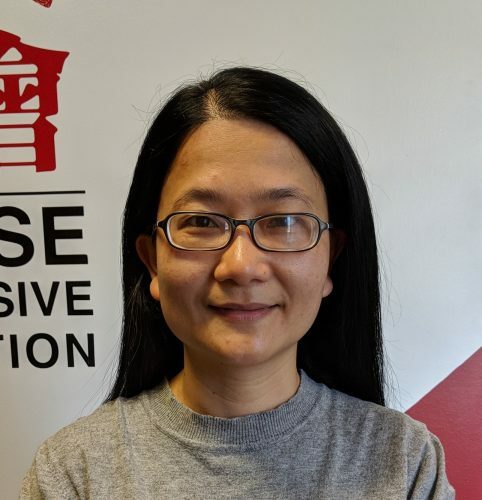 Yu Lian Luo is a Single Room Occupancy (SRO) Organizer at Chinese Progressive Association, as well as a member of CPA’s Tenant Workers Center (TWC). CPA is one of five San Francisco-based organizations who work with Single Room Occupancy (SRO) tenants that make up the SRO Families United Collaborative (SROFU). The SROFU accesses unity across neighborhoods and cultures to ensure that families in substandard housing conditions have basic resources and space to healthily grow. The Collaborative empowers families to advocate for themselves using education as a tool to navigate political structures. As an SRO Organizer, Yu Lian conducts home visits, attends community events, and organizes SRO families to show up at City Hall hearings. Yu Lian came to the U.S. in 2016 from Kaiping, Guangdong, China. In Kaiping, Yu Lian worked in education. After migrating to San Francisco, she has worked in the senior services industry, sold snacks with friends, and worked as a salesperson in a boutique. Yu Lian is passionate about education and senior services, as she believes children are like the sunrise and our future; and elders are like the sunset and our families’ roots.